According to a story released on the Auto Trader blog page, the Auto Trader website was subject to an attack from midday on Apil 19th until the early hours of April 20th. The attack disrupted access to the sight, causing it to run slowly or not open at all. According to the blog the attack originated from abroad. Such attacks, called denial of service, or DDOS attacks, are designed to disrupt web traffic and not to access personal details. The Auto Trader technical team has restored the functionality of the website and is working to minimise the effects of any further attacks. 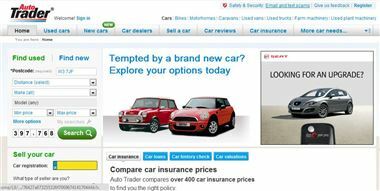 Auto Trader are keen to reiterate that no user data was lost in the attack and that any users attempting to access the webpage were at no risk from the attack themselves. The blog post came at alomst the came time as a news story on MoneySavingExpert, suggesting that the Alliance and Leicester webpage had been subject to a hack or fault. A spokesperson for Santander, who own Alliance and Leicester, stated that "Santander's internet banking systems utilise a number of third parties and one of these appears to have had a technical failure.